when i use vector plates in my sky block mob farm mobs wont spawn on them is this something you can change? if not what would you recommend since fans are not on 1.10.2 yet. I don't exactly remember when I fixed this, but it was somewhat recently. Unfortunately I don't maintain multiple versions due to time constraints. i am working on a sky block modpack and wanted to use them for early game mob farm automation but without the ability to allow mob spawning i cant really use them. Can you fix the config for this to work with linux. It only checks the spelling 1 way (example: Config) but linux allows both (config and Config) to exist together. The configuration used is created using Forge's configuration system. If this is actually an issue you should report it to the forge team. The vector plates are awesome. Just spent an hour messing with them. Can't wait to check out the rest of everything. Thanks for your hard work. so most of the files for 1.10 seem to be very little if any change from 1.9.4 other than it yells at you for being wrong version anyway to just add the 1.10 tag ? Blazes will only drop blaze rods if they are killed by the player or a pet controlled by the player. There are several ways to do that in vanilla, such as throwing a potion at them or blowing them up with tnt, however things like suffocating them with pistons will not drop blaze rods. The damage trap is no different then suffocating them. You can read more about how blazes drop items here. The 1.9.4 download doesn't work for that version, i downloaded it and it says DarkUtilies(DarkUtils) wants Minecraft [1.9,1.9.2]. If you intend this mod to be for >1.9.4 please state this. If it is intended for 1.9.4, please find out the bug and fix this. Thank you for reporting, I will look into it. 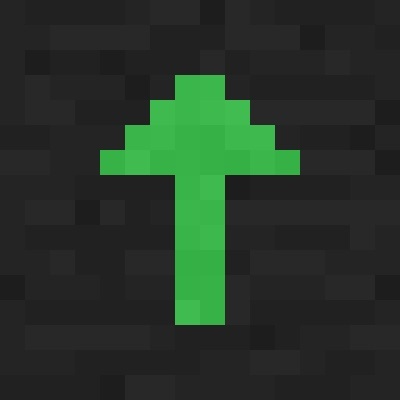 Could you make this for 1.7.10? The recipe for the foci is not showing in the Thauminomicon or JEI when researched. Version 1.0.0.18. This is because the foci is not fully implemented at this time. It can only be obtained in creative mode. When it is fully implemented it will behave diferently from how it does now. Does this mod require your bookshelf library? I don't see it listed as a required library here, but it is mentioned in your GitHub commits. Also, this mod has no license or modpack / redistribution statement. Can this mod be used in a modpack or redistributed and under what conditions? Yes, this mod does require Bookshelf. I had set the dependencies and relation info for the project, however it doesn't seem to be displaying. Probably something to do with the project being in Alpha. As for modpacks, I don't have a mod pack statement out, because this mod technically shouldn't be public yet. That said, if you want to use it in your mod pack that would be fine. All I ask is that a link back to this page is included somewhere on your mod pack post. Okay it works now, how do you use some of these items, for example the sneaky lever, doesnt appear to do anything. The sneaky blocks are basically camoglauge blocks. Right click on a sneaky lever with almost any block, such as wood planks, or cobblestone and it will turn into that block. You can then right click the block to toggle it between an on and off state, like a normal lever would. There might be a conflict when right clicking with a block in your hand. I can not remember if the fix for that made it into this release.